I love simple knit play clothing for my little kids. You’d be surprised how hard it is to find affordable good quality knit clothing for kids. When I saw an ad for Primary.com, I was hooked. They have tons of solid colors and so many clothing choices, so you can match all the kids together if you want! 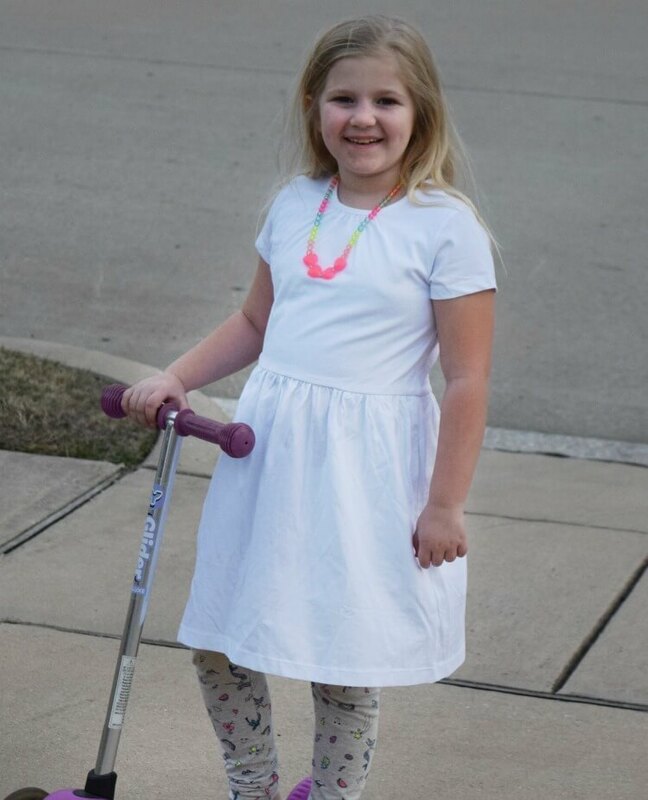 My 7 yr old LOVES dresses, so I was excited to find their solid color jersey knit dresses. We bought colored ones and we bought white ones to tie dye. 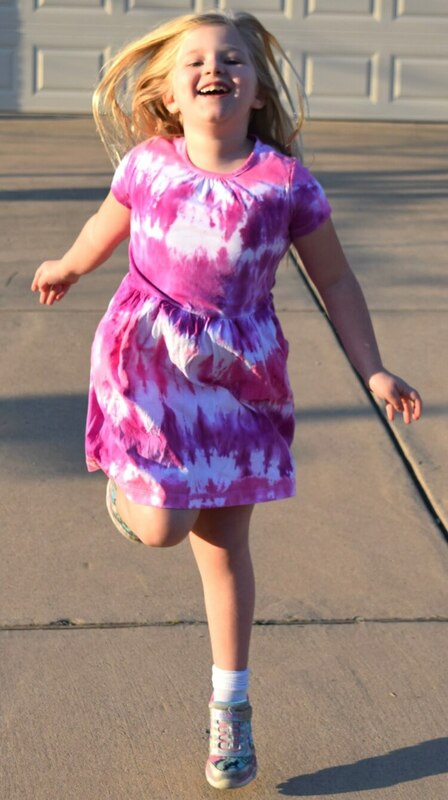 And, these dresses are PERFECT for tiedyeing. 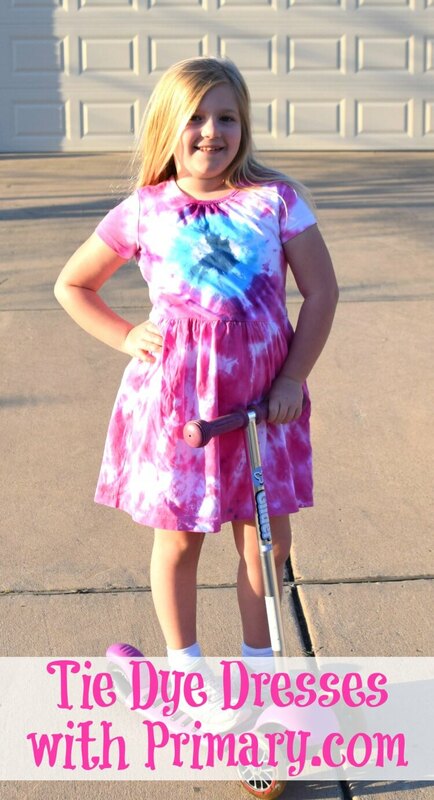 Molly was able to pick her favorite tie dye colors and we dyed these two dresses together. She wears them all the time. 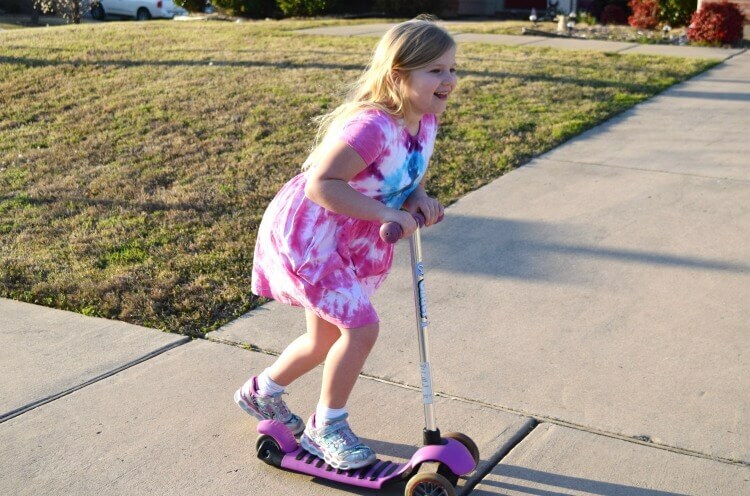 They are just perfect for spring and summer, and if you need coordinating little bike shorts for your busy little girl, they have them, too! We used two basic white knit dresses we got from Primary.com. One thing I often forget is to get the clothing wet and wring out before folding and banding them and dyeing. Then, I rubber banded them together in various shapes. One we created a bullseye from the center of the bodice down. It’s the one standing straight up in the photo. The other was just folded and gently pleated to create lines. 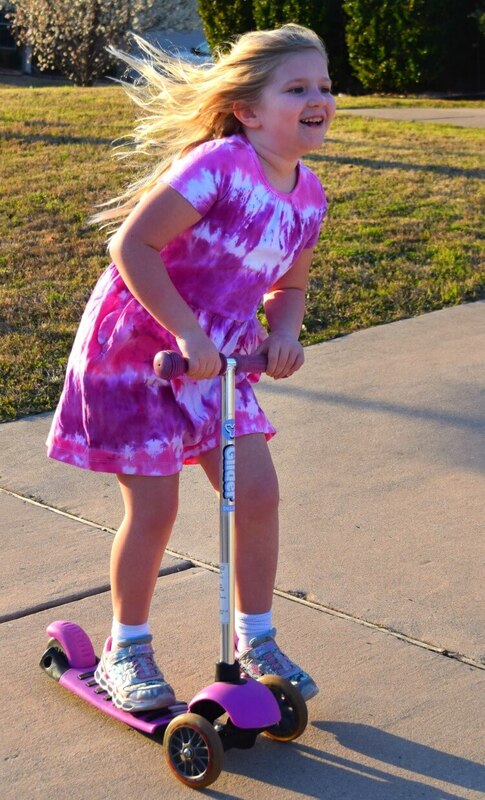 Next, we had a huge tie dye kit with many colors of pre-made bottles of dye, and all we had to do was add water. She picked her favorite colors to combine. 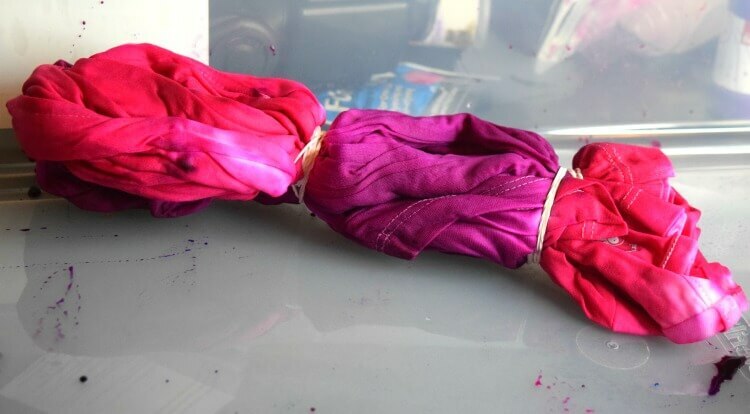 TIP #1: Make sure to wear gloves or your hands will be dyed for days! 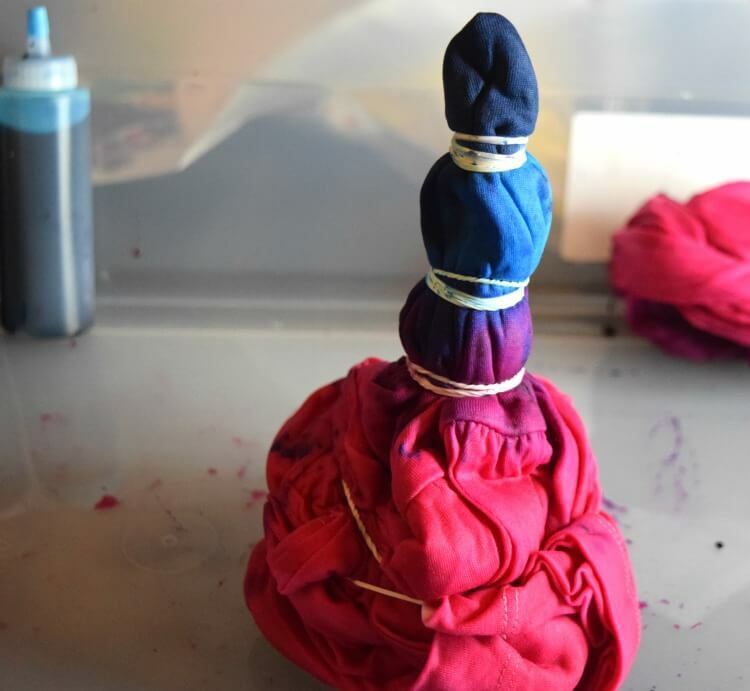 TIP #2: To make sure most of your garment is dyed, you’ll need to insert the tip of the squeeze bottle down into the folded up crevices deep inside the fabric. Otherwise when you unfold, you’ll still have lots of white spots. Make sure to jam the tip in deeply wherever you find a fold or hole to get those spots inside dyed. Once we dyed her dresses (and my 7 yr old had great fun helping me), we put each dress into a grocery bag and made sure it was completely covered and let them each sit for about 24 hours. Then, we washed and dried them in the washing machine and dryer, and they came out just beautifully! They are currently her favorite dresses. She wears one of them almost every day. 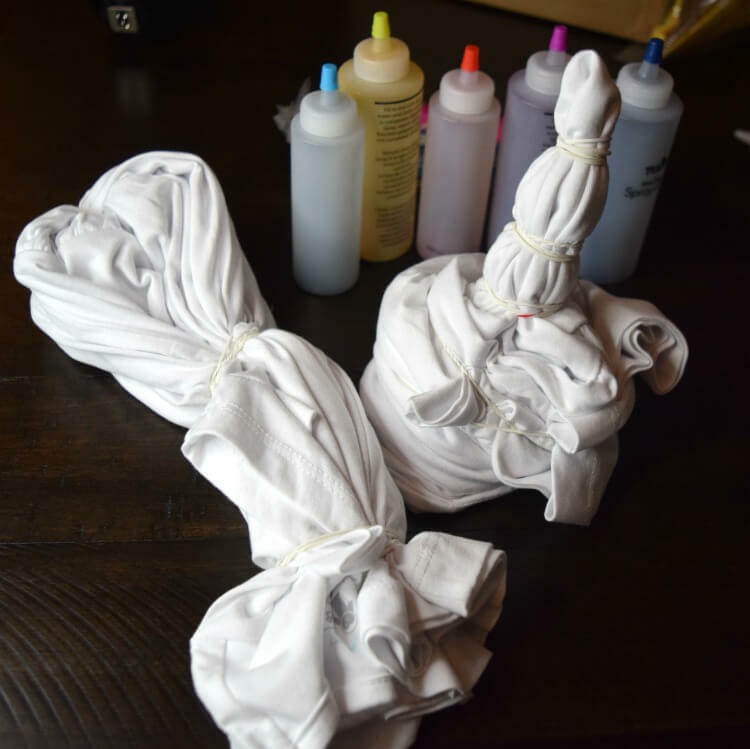 If you want some more ideas for tie dyeing check out this post where I dyed upcycled baby onesies in different ways. I am so thrilled with how they came out, I’ve got another order coming of white onesies for the baby and some sundresses for my 7 yr old. We’ll be dyeing soon again! I think I’m going to have to place another order for a white cardigan to tie dye for when school starts again in the Fall, too. Head over and take a look at all these great kids’ knits. They are perfect for play time. Click the link below to get 20% and free shipping on your first order! 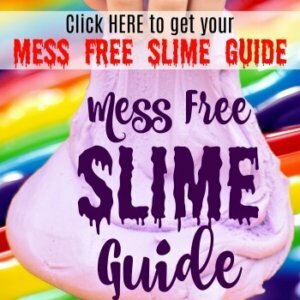 Get 20% off plus free shipping on your first order at Primary.com with code AFF20PCT! !